Brick Township officials are developing a Dredging Master Plan that will help residents who are interested in having their lagoons dredged. Dredging in Brick has been a source of some contention in recent years. Some waterfront residents say they pay a premium in property taxes but cannot utilize their waterfront access because lagoons are too shallow. But township officials say they provide surveying and engineering assistance to residents who partner with each other to dredge their waterways, and that work costs about $60,000. A particular challenge for residents, however, is complying with New Jersey’s strict permitting for dredging and finding a location for dredge spoils on their own. The dredging master plan would, essentially, act as a town-wide dredging permit. The idea was first implemented in Ocean City last year. Elissa Commins, the township engineer, said at a meeting this week that her office is planning to develop a dredging master plan which would speed up and streamline the process for residents. The master plan would include a town-wide survey of water depths, permitting clearances and an established list of disposal locations for sand. “It has enabled those municipalities to offer their residents and businesses – marinas – the ability to just go in and get a dredge permit,” said Commins, explaining that the master plan could account for 30 to 50 percent of the cost of dredging projects. Dredging policies vary from town-to-town across the state. 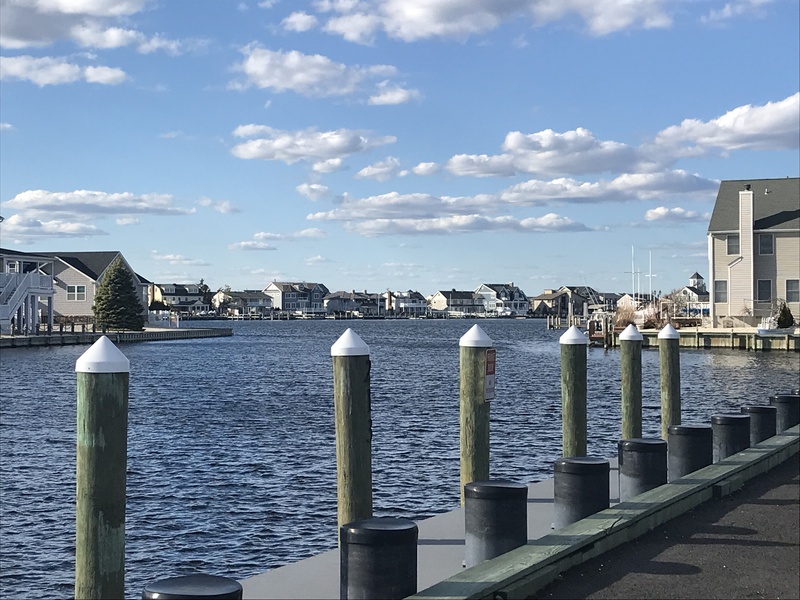 In Brick, which boasts the largest amount of waterfront in New Jersey, residents are asked to partner with each other to pay for the physical dredging work, while the township pays for preliminary surveying and engineering. In other communities, such as Ocean City, the municipal government has committed to pay for entire dredging projects after a public outcry over a lack of water access and persistent flooding issues. “We pay more taxes for living on a waterway,” said resident Vic Fanelli, who likened waterway maintenance to roadway maintenance. Commins said that, by law, Brick is responsible for dredging the marina and Traders Cove and the areas near its outfall pipes. Then there are other channels that are not part of private lagoons but are also not included in state dredging projects.